Home News / Latest Updates Will take salary after all gov. employees are paid dues: CJP. 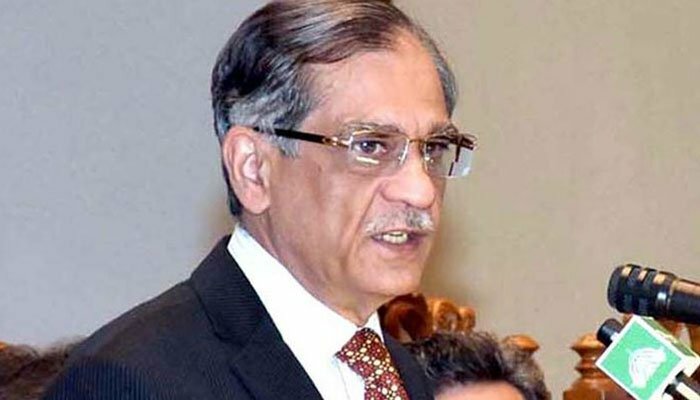 ISLAMABAD: Chief Justice of Pakistan Justice Saqib Nisar vowed on Friday that from now on his salary should come after the payment of monthly dues to all government employees. Heading a two-member bench hearing a case related to non-payment of salaries to government employees, the chief justice lamented that people are not paid even until the 24th of the month. Chief Justice Nisar stated that he will take his salary once a certificate is submitted in court that all employees have been paid. The accountant general of Pakistan (AGP) informed the court that the past month the salaries were not paid in his department as he did not get the required budget. "Whatever the reason, salaries should be paid on time," the chief justice remarked, adding that whatever the problem is, it should be resolved. The AGP and Finance Ministry assured the court of paying dues to all employees by today. - Resource Geo News.